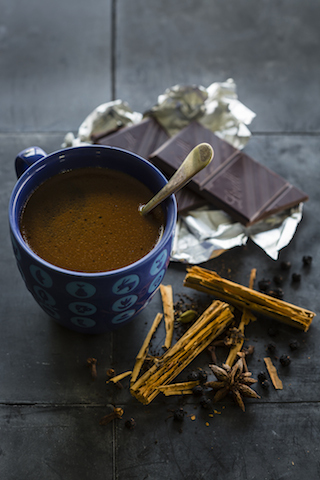 Roasted Wattleseed & Pepperberry Chai Mocha is perfect. Add a touch of your favourite liqueur & it fairly sings. A great comfort drink, not loaded with fat (unless you add cream...hmm an option) If it's late in the day and you want a little extra something, add some liqueur; try Tia Maria, Kaluha or even Whiskey...just a thought!